IFC will air the new chapters beginning Friday, Nov. 23 (a.k.a. Black Friday) at 9 p.m. ET/PT. For those who need to catch up on the saga, the cable network will air a marathon beginning Thanksgiving Day at 10 a.m. ET/PT. Kelly, who already plays multiple roles in the series, adds two more in the new chapters. The swank Dr. Perry is there to give marriage counseling to Rufus and Cathy, while “Beeno” is yet another player in the Chicago underworld. The below clip begins in the style of “Masterpiece Theater,” with Kelly in a warmly-lit library peering into the camera over his reading glasses as he re-introduces “Closet’s” characters. He needs to trap his azz in a closet and go on somewhere and have SEVERAL…! Ain’t nobody thinking about this mess he’s pushing no more. 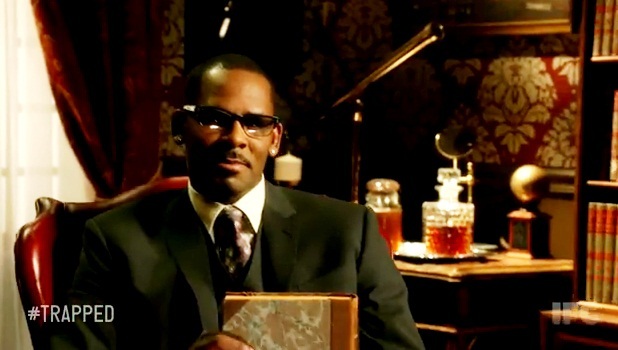 It is getting a little old even for R Kelly! Come up with some fresh material man LOL!!!!! !